Every one of us has sat in an uncomfortably hot room at one point in our lives. This means that we all understand that sometimes air conditioning units are simply not adequate. There are definitely different types of units for different types of environments. It is incredibly important to understand exactly what you need for the area that you plan on cooling. If you get something too small, it’s not going to be efficient. If you get something that’s too large it’s going to end up costing you more in energy, then you might have planned on. It’s important to have a trusted technician and HVAC expert. These are the people who can tell you exactly what you’re going to need for your home. They can also tell you if your current system is doing its job, or if you need to upgrade or downgrade. Many HVAC companies will come in and do a free estimate if you have some idea of exactly what you’re wanting. If you’re simply trying to replace an existing unit you can sometimes do this on your own. Single stage heating and cooling units are used in areas where extreme temperatures Prevail. They are prepared to cool your home on the hottest days of the year and prepared to heat your home on the coldest days of the year. The biggest problem with single stage HVAC units is the fact that they don’t know how to function at a happy medium. They are always going as if they are operating on the most extreme days of the year. This means that they’re using more energy, and ultimately costing you more money. These are fantastic units to have when you live in areas of the world where you experienced these extreme conditions more often than not. When you live in a more temperate climate, a two-stage heating and cooling unit may be a better option. This is an HVAC system that allows you to customize the level of operation to the level of need for that particular day. On very hot days you can turn it to high, and when the temperature is more manageable you can set it to low. This allows you more control over your energy use, and can ultimately save you quite when operated correctly. These are exactly what they sound like. 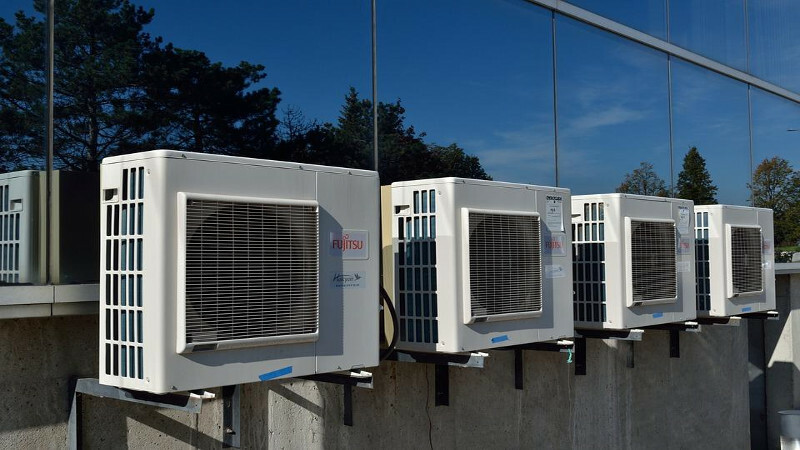 Zone air conditioning units are used to control the climate in only one area of your home. This can be fantastic when you have a home business or a finicky relative living there. A zone system that’s designed for your entire home will have controls for each room. This allows the occupant to control the level of hot or cool air that’s being piped in. They can do this by either blocking the air flow or sending an electrical signal that lets the system know to divert the air elsewhere. These are interesting systems that have made huge advances technologically.